How to afford your Dream Holiday? Everyone has their own version of the 'the perfect holiday'. One person may love nothing more than spending every minute of their holiday laying on the beach soaking up the sun and others may like exploring a foreign land, searching for the next big adventure. Unfortunately, for most of us, these types of dream holidays are out of financial reach. According to a survey by the Telegraph, one in five of us cannot afford to travel abroad. Clearly the finical restrictions are holding many of us back from making our dreams a reality, however, there are ways to get your dream holiday. Here at Car Cash Point we can provide loans if you're a car owner. A loan against your car can help you to cover aspects of your holiday such as travel expenses, accommodation, and living costs. 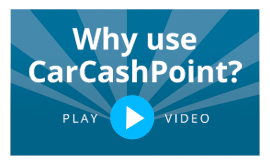 At Car Cash Point, the typical size of our log book loans starts from '£500 up to £50,000 depending on the value of your car. Additionally, with Car Cash Point no credit check is required, so you are able to release equity from your vehicle straight away in order to book that well deserved holiday. You don't even have to leave the comforts of your own home to book that perfect holiday. You no longer need to travel to your local travel agents, sit in a stuffy room and negotiate the cost of your holiday which is clearly overpriced. Now most of us are booking online and rightly so. You can find cheaper deals on everything from hotels, flights, and even excursions. The best advantage of booking online is the ability to compare prices across a wide range of companies so that you can be sure to get the best deal possible. Resist the urge to empty out your piggy bank and add savings to it as much as possible. Save some of your wages each week and keep the piggy bank away from grabbing hands - you might even want to stick a threatening note on it to scare away any intruders (aka, family and your future self). If it's possible, it may be worth taking on some extra hours at work to help you out or you could even sell a few things at a car boot sale, or on eBay. Start your holiday savings in advance so that by time the summer months swing around, you will have enough to finally afford that luxurious breakaway. When people think about holidays most don't consider going on a group trip or tour. Budget Travel advises that budget seekers should 'try going with an affordable group tour'. This option is suitable for those seeking a more sight-seeing based holiday that involves a lot of traveling and organising. This type of package deal often comes cheaper and the best part is that everything is organised for you so all you have to do is show up at the airport and hope there are people within your group that you can socialise with.